People can also enjoy a plunge into the Atlantic Ocean in Wildwood on Saturday for a good cause. There will be numerous opportunities for residents to give back to their community on Martin Luther King Jr. Day on Monday, while hundreds will dive into the Atlantic Ocean on Saturday in Wildwood for a good cause. Don’t have any plans for the next three days? Check out some of these activities taking place over the holiday weekend. A community service event in honor of Martin Luther King Day will take place Monday at Adath Emanu-El synagogue in Mt. Laurel. This is a local sisterhood’s third annual “Day of Tikkun Olam” (Repairing the World) event, and last year the event had about 180 participants, partaking in 17 different service projects. The event takes place from 10 a.m. to 1 p.m.
Those who are not working on Monday are invited to serve their community at Cherry Hill Township’s annual Martin Luther King Jr. Day of Service event. From 10 a.m. to noon at Croft Farm, residents are invited to volunteer and help out with a few different projects. Anyone wishing to volunteer may RSVP in advance by calling (856) 488–7868 or emailing events@chtownship.com. Anyone interested in raising backyard chickens may want to check out “The Basics of Raising Backyard Chickens in the Suburbs and City.” The class is being presented at the Camden County Parks Environmental Center on Sunday from 1 to 3:30 p.m. Learn how easy it is to set up a coop, select hens and care for them year-round. Also learn about the legal issues in your town and what you can do about them. The cost of the class is $10. Pre-registration is suggested. For more information and to register, email gbaile@verizon.net or call (856) 816–8508. 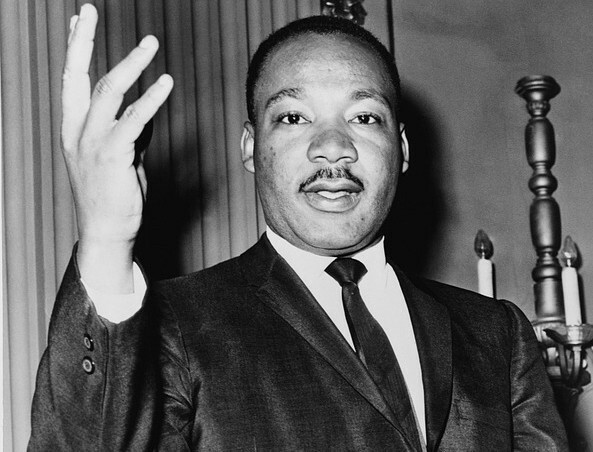 Numerous Martin Luther King Jr. Day services are taking place this weekend across the area. One of these services will be held at Mt. Olivet Baptist Church in Haddonfield on Sunday at 7 p.m. Churches from all over Haddonfield will join together for a worship service to commemorate King’s life. The church is located at the corner of Lincoln and Douglas avenues in Haddonfield. There are also plenty of ways for residents to volunteer in area towns on Monday. Volunteer opportunities exist in Medford, Camden and Gloucester Township, among other towns. Hundreds will run into the frigid water of the Atlantic Ocean for a good cause in Wildwood on Saturday at the Wildwood Polar Bear Plunge. Registration will take place at the Wildwoods Convention Center, 4501 Boardwalk in Wildwood. All proceeds from the event will support Special Olympics New Jersey. Registration begins at 10 a.m., with the plunge to start at 1 p.m. To register or donate, visit www.plungewildwood.org. Saturday is the second day of the Big Philly Beerfest, taking place at the Pennsylvania Convention Center, 1101 Arch Street in Philadelphia. There will be dozens of beers to sample and vendors to visit at the event. The cost is $45 for a ticket purchased in advance or $55 for a ticket purchased the day of the event. The festival is open from 8 to 11:30 p.m. To purchase tickets and for more information, visit www.bigphillybeerfest.com. On Sunday, Radio 104.5 will be holding its 2017 Winter Jam concert. The show will be held at Xfinity Live in South Philadelphia beginning at noon. Eight different performers will be featured on two outdoor stages throughout the afternoon. Doors open at 10 a.m. Tickets for the event cannot be purchased, but they can be received through Radio 104.5 ticket raids. To find a list of performers or for more information on acquiring tickets, visit http://radio1045.iheart.com/features/radio-1045-winter-jam-2017-1622/#features-home-carousel.